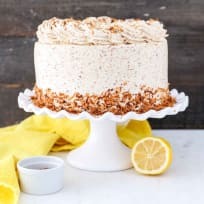 You know those desserts that you try and can’t stop eating after the first bite? I mean truly, can’t stop eating? 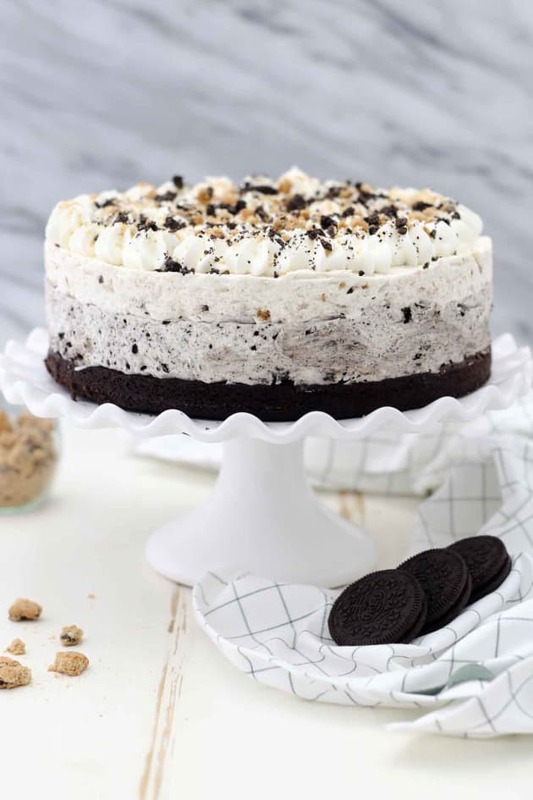 This is exactly the case with this Oreo Brookie Mousse Cake. In case you didn’t already know, a brookie is a combination of a brownie and a cookie. Once you throw in an Oreo it becomes what is known as a “slutty brookie”. So technically this could be a Slutty Brookie Cheesecake but adding Oreo sounds much more, dare I say, appropriate? 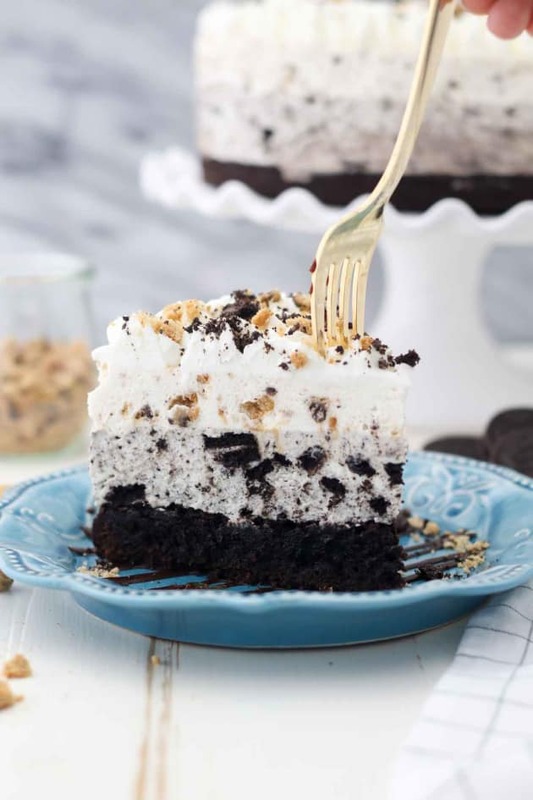 This Oreo Brookie Mousse Cake starts with a layer of fudgy brownie on the bottom, then a layer of Oreo cheesecake and is topped with a chocolate chip cookie mousse and whipped cream. With so many amazing layers, it’s hard to pick a favorite. 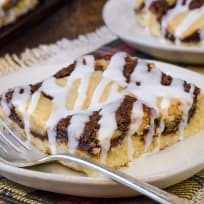 I’ve made quite a few of these desserts by now, there’s so many different flavor combinations but I am very much favoring anything with Oreo or chocolate chip cookies. You might recognize that layer of chocolate chip cookie mousse, because it’s the same one I used in my Chocolate Chip Cookie Mousse Cake. I know there are quite a number of steps involved. 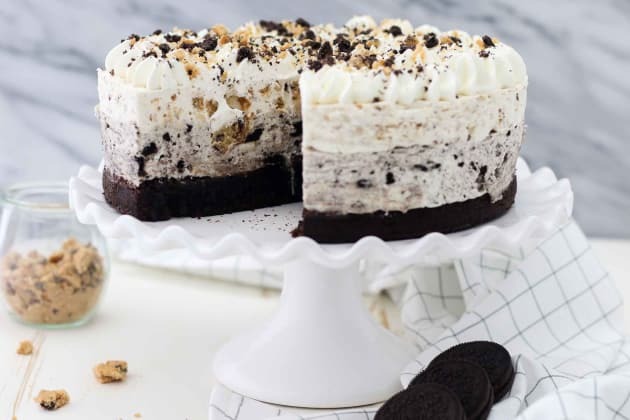 First you need to make the brownie, then the Oreo cheesecake and the cookie mousse. However, it is relatively easy to assemble, and you just need a little patience. 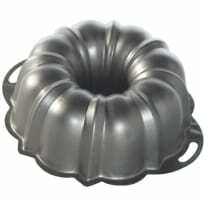 You can test your springform pan by pouring water in it and if it comes gushing out, then the pan won’t work. 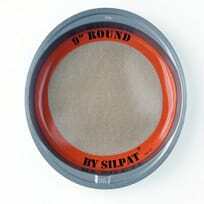 You can also use a 9-inch round instead and then transfer it to your springform pan when it’s time to assemble. 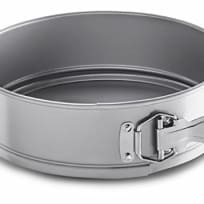 You need a pan that is at least 3-inchs high and I prefer the springform kind so you can easily remove the sides. 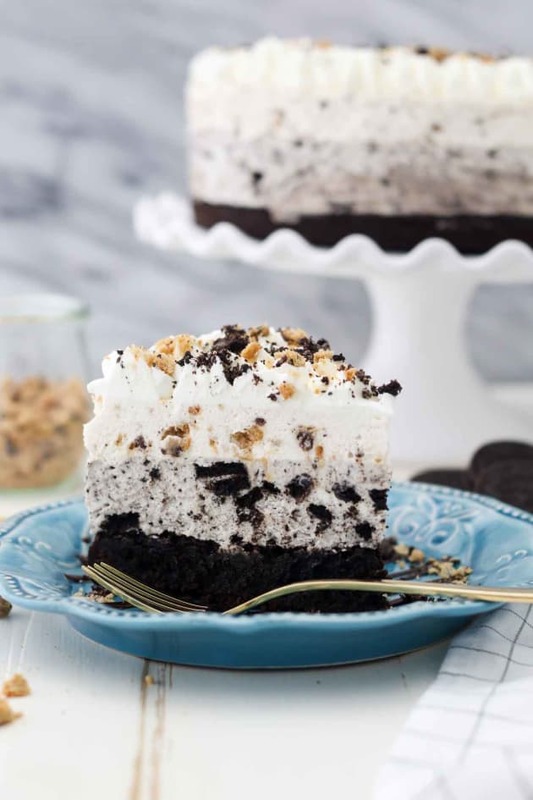 The next layer is the No-Bake Oreo Cheesecake. 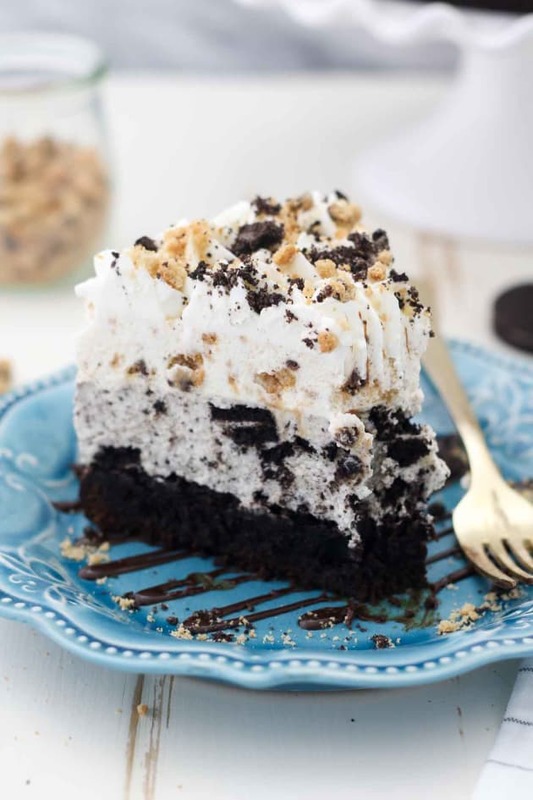 This Oreo cheesecake just melts in your mouth. 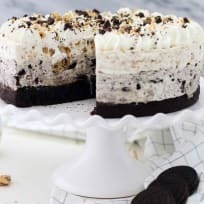 What makes my Oreo cheesecake different is that is uses white chocolate in combination with the cream cheese which makes it taste just like the cream you find in the middle of an Oreo. I’ve already briefly mentioned the chocolate chip cookie mousse. It’s a simple whipped cream with an addition of gelatin to help keep it stabilized. 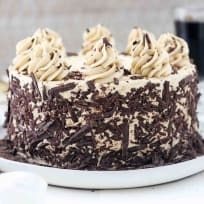 The crushed cookies get super soft and cake-like to complete the mousse. 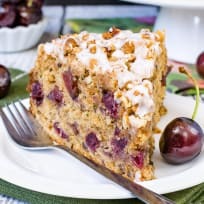 Once your dessert is assembled, it needs a few hours in the refrigerator in order to set before slicing into it. I also prefer to garnish it just before serving. Preheat the oven to 350°F. 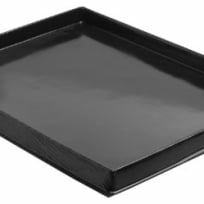 Line the bottom of a 9-inch springform pan with parchment paper. 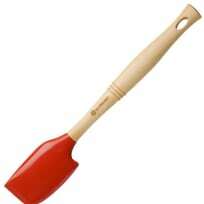 Pour the batter into the springform pan and spread evenly. Bake at 350°F for 30-35 minutes until the center is baked but still slightly fudgy. Allow the brownie to cool completely. 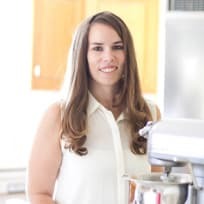 In a microwave-safe bowl, microwave the white chocolate at 50% power in 30 second increments until the chocolate is melted, stirring occasionally. Once melted, stir until smooth. Set aside to cool. 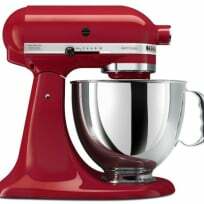 Pour the heavy whipping cream into the chilled bowl and use an electric mixer to beat the heavy cream on medium-high speed until the cream starts to thicken. Finally, fold the prepared whipped cream into the cream cheese mixture and stir gently until the mixture is well combined. Fold in the crushed Oreos, then spread the mousse over the cooled brownie (in the springform pan). Prepare a second batch of whipped cream (as instructed above). 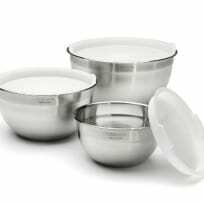 Place the mixing bowl and whisk in the freezer for 5-10 minutes. 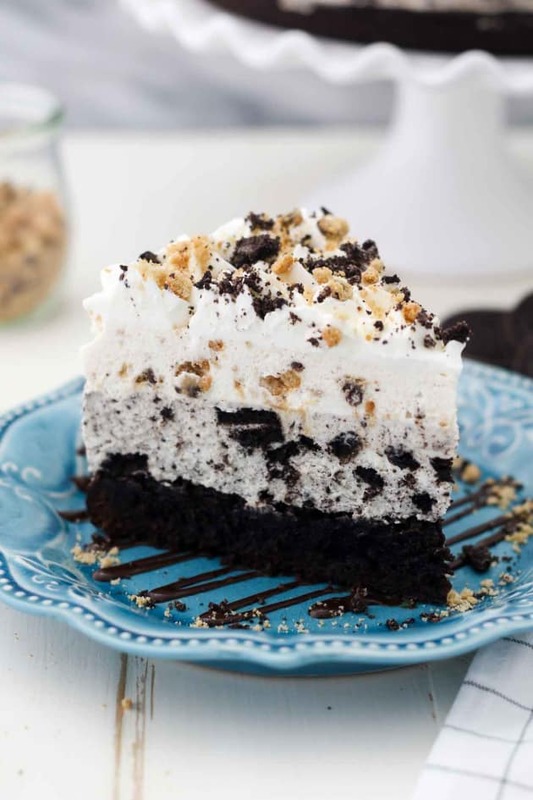 Fold the crushed chocolate chip cookies into the whipped cream and spread over the layer of Oreo cheesecake. Pipe the top of the cake with whipped cream using a large open star tip.